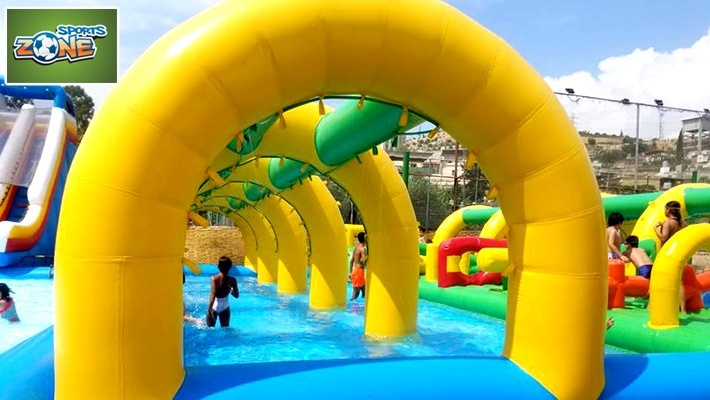 Enjoy a playground with a wide variety of exciting games, football court and water park activities! Coupons valid until September 16, 2018. May redeem multiple coupons per person. Valid from ages 18 months till 12 years. 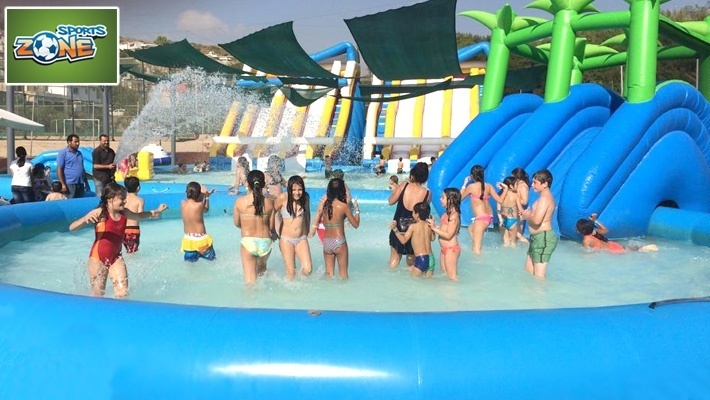 Parents and nannies enter for free. Valid Monday to Saturday from 10 AM till 6 PM. Excludes Sundays & Public Holidays. Excludes events and birthdays. Bringing food, beverages & argileh is not allowed. Wearing a regular swimsuit is a must. Reservation required on 04 547 009, quote Gosawa coupon. Coupons must be printed. Non-Refundable / No carry over. VAT included in price. Standard terms & conditions apply. 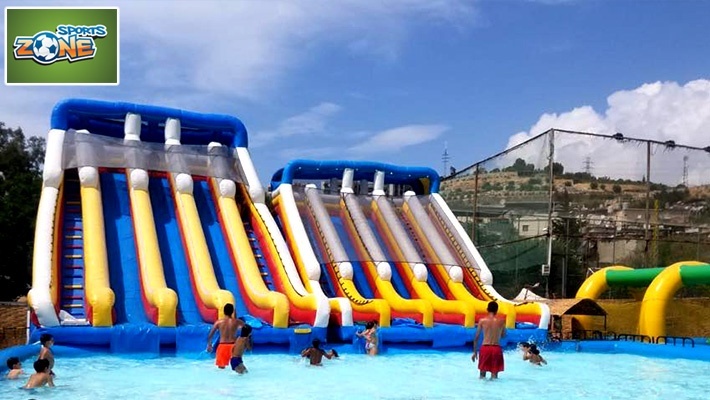 Enjoying an exciting inflatable slide and splashing into cool waters is every kid's dream! 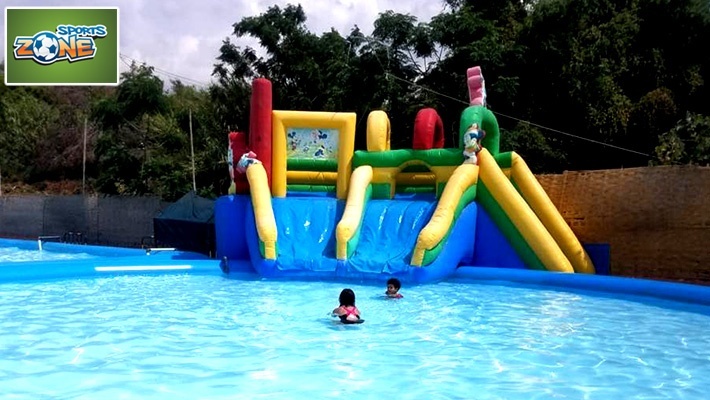 Keep your children happy with Playground & Water Park Entrance at Sports Zone, only $10 instead of $14.66. 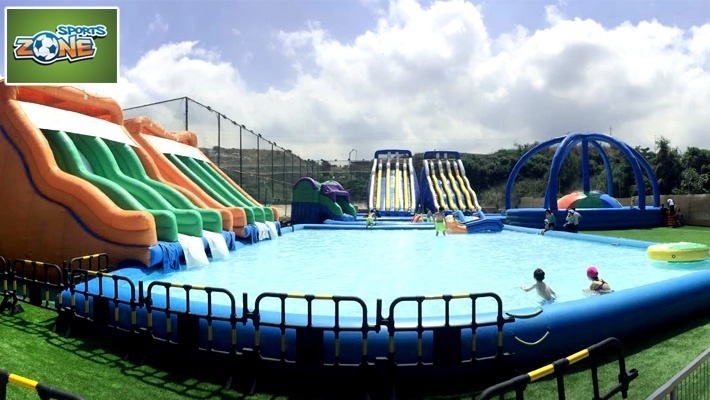 Your kids will surely have the time of their lives! 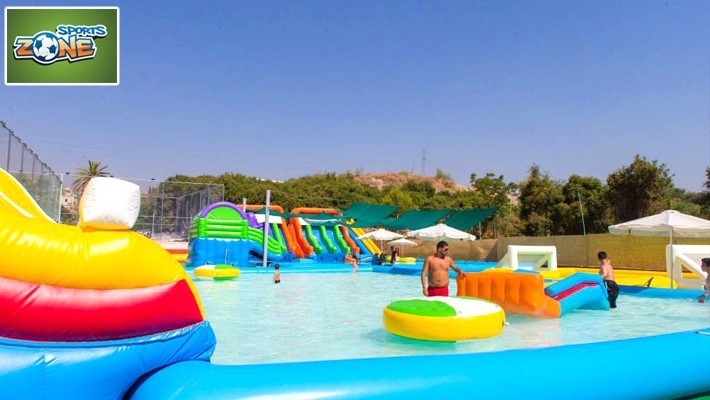 Sports Zone is a huge playground and water park for kids. 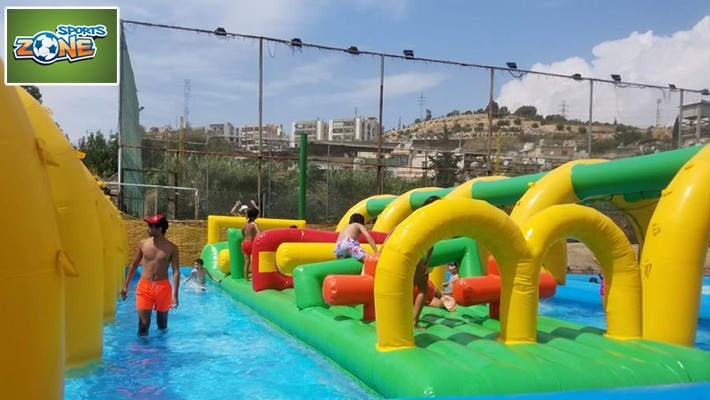 It includes inflatable games, swings, slides, football field and much more. 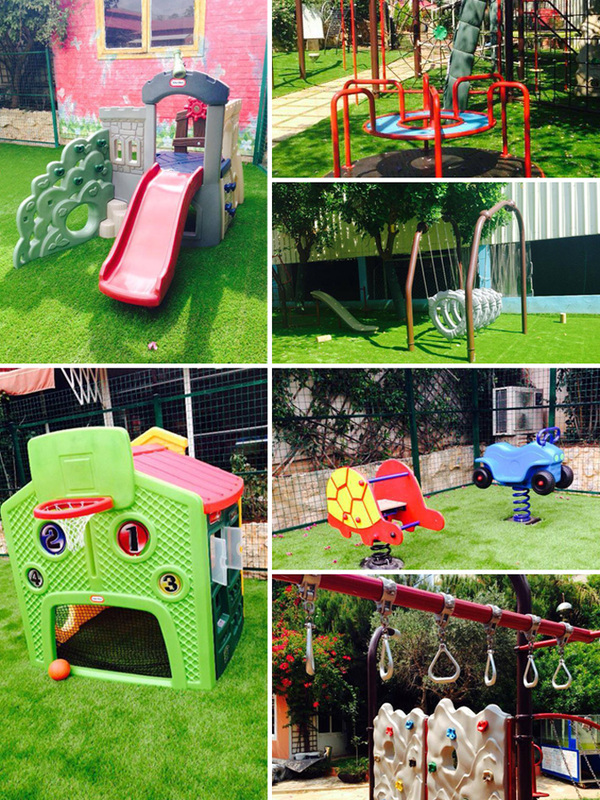 It also includes a special lounge for parents so that they’ll enjoy their time while watching their kids. 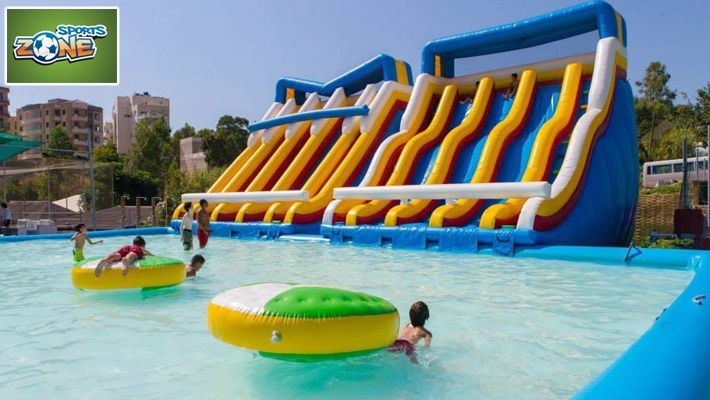 At Sports Zone, children will enjoy a one-of-a-kind atmosphere where the fun never stops!